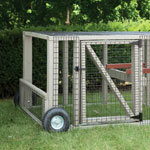 Here at Lancaster Chicken Coops, we have chicken coops with runs for sale. 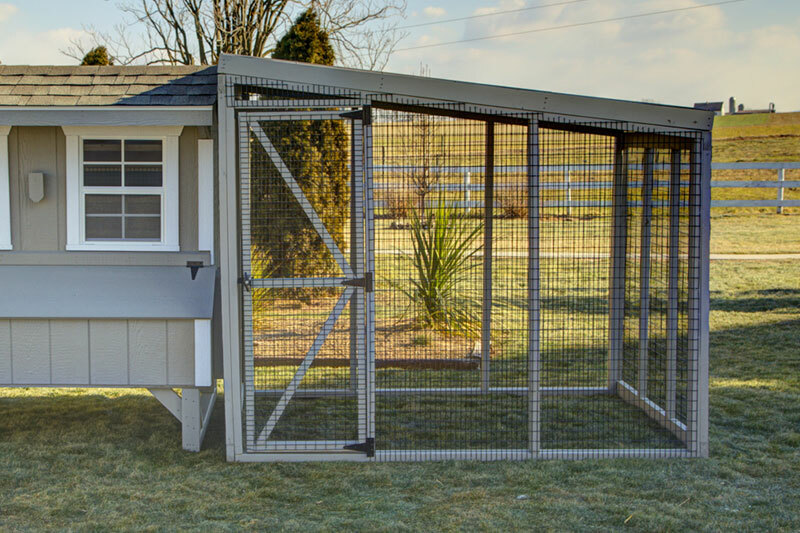 There are two options available – with or without roof. 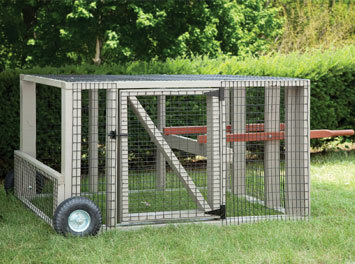 Our chicken runs are available in multiple sizes, depending on your coop style and desired run size. 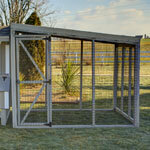 All chicken runs come standard with 14 gauge vinyl coated wire with 1" x 2" hole size. 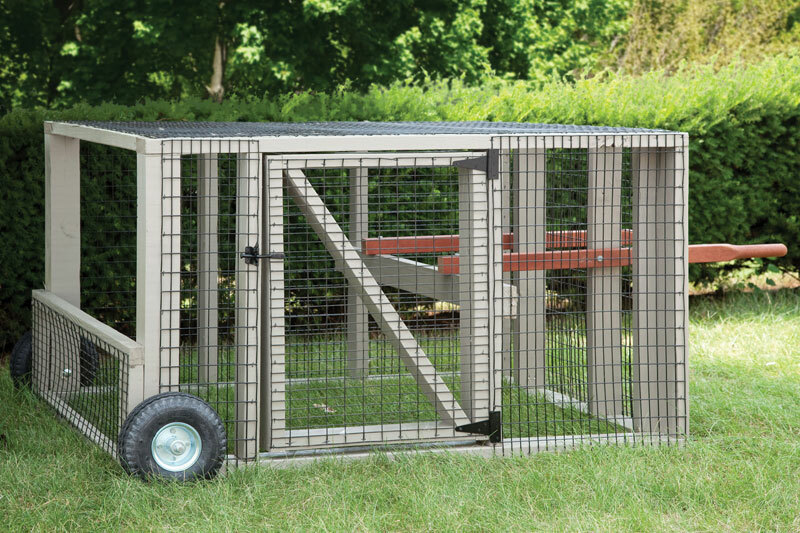 Ask us about adding wire to the bottom side of your chicken run to prevent large burrowing critters! 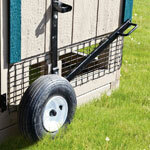 When you purchase a chicken coop with run, you have the option to add wheels to the run so it can be portable. 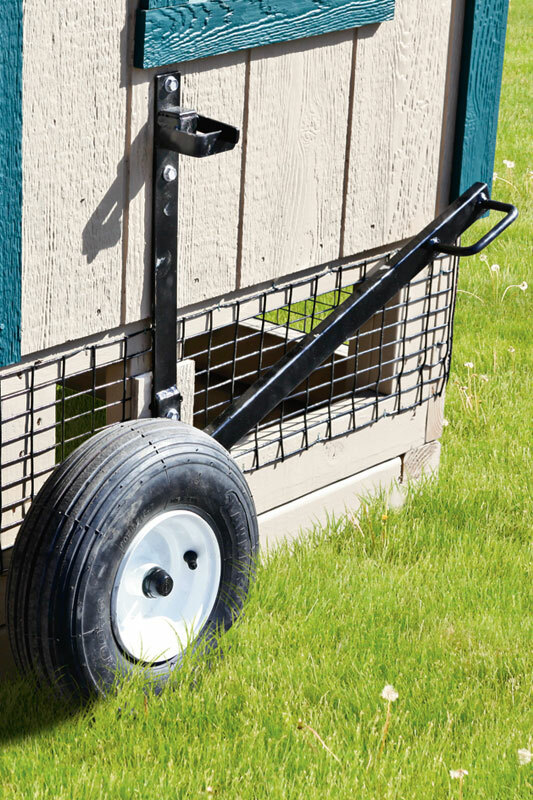 The wheel lift lever kit is an add-on that allows you to lower the run down to the ground after set in place. It is available for all chicken runs.